No guide to exercise would be complete without jogging tips for beginners to get the best health benefits when you jog not to mention the other benefits you get. Jogging isn't just for beginners. In fact, no matter how in-shape you get going out for a jog never gets old. 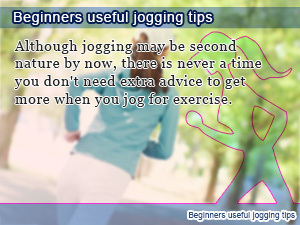 That doesn't mean that it is never a good to review how to jog getting all the health benefits of jogging. Guide to jogging for beginners and fitness divas alike. What are the health benefits of jogging that no one ever talks about? There are not a lot of people who know How-to Jog to maximize the health benefits of jogging burning fat by incorporating enzymes in your diet. Whether you are worried about which is better Joggers or Walking, where most people get distracted is focusing too much on common metric such as distance and clearing time. For any one yearning for a beautifully slimmer waist and wanting to get more out of your jogging routine turning the benefits of jogging into a full body experience must read these helpful jogging tips for beginners before taking your next trip out into the urban jungle unlocking the inner warrior in you. In this daily Slism, we will take on the aerobic exercise of jogging giving great tips for beginners looking to appreciate all the best health benefits of jogging that you get by going out on a jog. Amongst promoting good circulation, detoxing your body giving your smoother skin, and the inches it shaves off your waist if continued for longer periods of time, jogging is an aerobic exercise that helps you get the job done without losing your breath while getting fresh air. Although there may not be too many women ready to jog outdoors, you may want to give it a try. So put your sunscreen on and get out of the gym now. If you remembered to bring your workout gear, shoes, and some uv-protection, then you are pretty much set! Although bringing something to listen to and sunglasses are optional, you have better take them along too just to be safe. For people ready to go jogging as soon as tomorrow, hold on a second! There is still more to be learned before your first jog. There are a lot of little things that you need to keep in mind before exercising on a diet to get the most out of your body to get fit. Remember, the first rule for jogging to get fit is that it's not just jogging. Here are a few key points to keep in mind while jogging to get the most out of your workout. Always double check your jogging form before going out working in the basics improving your body mechanics to get a better workout while reducing potential burden on the joints of your body. If you find yourself losing control of yourself mid jog turning out too many heart beats per minute slow down your pace to avoid jumping out of the fat burning zone and the collapse of posture leading to unnecessary fatigue. Always keep in mind how you carry your weight on your legs, good jogging posture, and where you are heading. Just by focusing your attention on these three points help you build better jogging form that builds on itself. Although there are a lot of approaches to take in breathing while jogging such as inhaling twice with your nose and exhaling with your mouth that are very well known by now, that's only one breathing technique that people use. The most important rule to proper breathing technique while jogging is not what method you use, but instead what method works for you the best personalizing your experience jogging to a whole new level. Again, if you find yourself out of breathe turn down the level of intensity that you are jogging at. This helps keep your heart rate from rising too high allowing you to burn fat more efficiently staying in the fat burning zone. By getting enough fluids in your system while jogging helps eliminate dehydration symptoms that make you feel more fatigued after exercise not to mention effect the recovery time you hope to receive and the detoxification effect that sweating has on your body. Rehydrate before, during, and after jogging exercise putting emphasis on getting enough fluids in your body afterwards to make up for the fluid lost from exercise induced sweating drinking chilled to lukewarm water. Mix it up every once in a while whenever you please by having a refreshing bottle of mineral water or sport drink of your personal preference giving you the zingy feeling of sugar rushing into your body after exercise. Just getting started off, try not to focus on distance as a measure of how your exercise is doing. 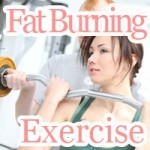 Focus more on exercise duration and pacing your heart rate for enhanced calorie burning and fat burn. More than covering more ground work up to being able to exercise for longer durations of time not forgetting to properly record how much calories you burn jogging each time. Although it would be nice if all you had to do was sweat for jogging to be effective, in fact it doesn't work out that way. Sweat isn't fat crying like you would be lead to believe. However, that doesn't mean that sweating while jogging is meaningless. Jogging helps you sweat harmful toxins out through your sweat glands and works great when battling fluid retention problems. Aerobic exercises such as jogging use not only burn fat around our body helping you lose weight but are also less burdenous on your body helping you train slow twitch muscles. As important as training your slow twitch muscles increasing muscle mass is there is still one great benefit you get out of jogging such as stress relief, lifestyle disease prevention, and slowing down the effects of aging working as an antiaging agent. In particular, jogging is recommended for lifelong health no matter what your age. Jogging so fast just getting started out losing your breath before making it around the block is not the way to go. If you are just breaking into exercise don't feel embarrassed just starting off with a slow jog. Take baby steps. That means don't push too hard to realized idealized goals that others want you too clear. Sometimes you make the most progress going as slow and careful as possible. That's what you need just starting out. Always keep yourself entertained. Don't get stuck running the same hold circles around the track unless that's what you like. Mix up your routine with other aerobic exercises trying something new into your routine when you need a break always knowing you can go out for a jog when you want to. Swimming exercise is a tough cookie in weight loss. Say what you want about not being able to swim a mile. Now no one can stop you from getting slim. Although jogging may be second nature by now, there is never a time you don't need extra advice to get more when you jog for exercise. Shoes clothes and water. These are the basic thing you are going to need to get out the door on a jog and the rest are great jogging tips. With aerobic exercise such as jogging you have a wide range of exercises to choose from when planning your fitness routine for greatness.